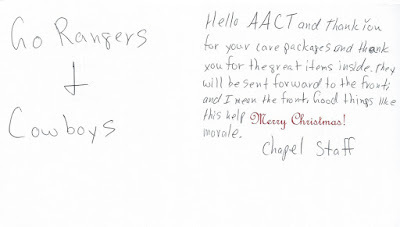 Care Packages for Soldiers: Thank You Cards from the Troops! 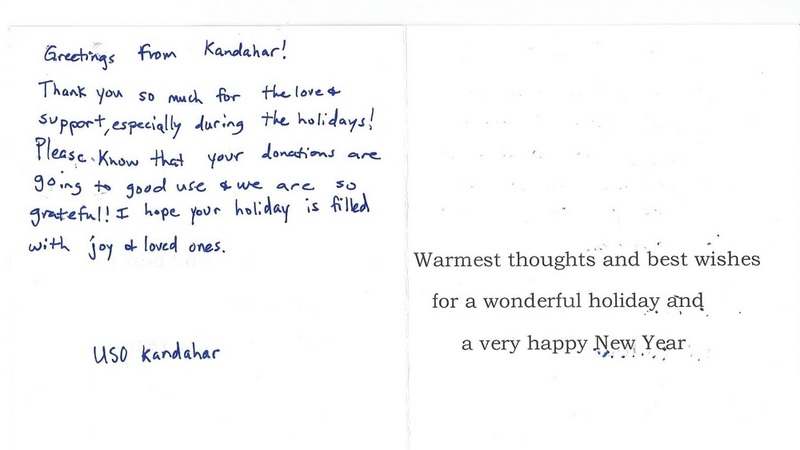 Thank You Cards from the Troops! 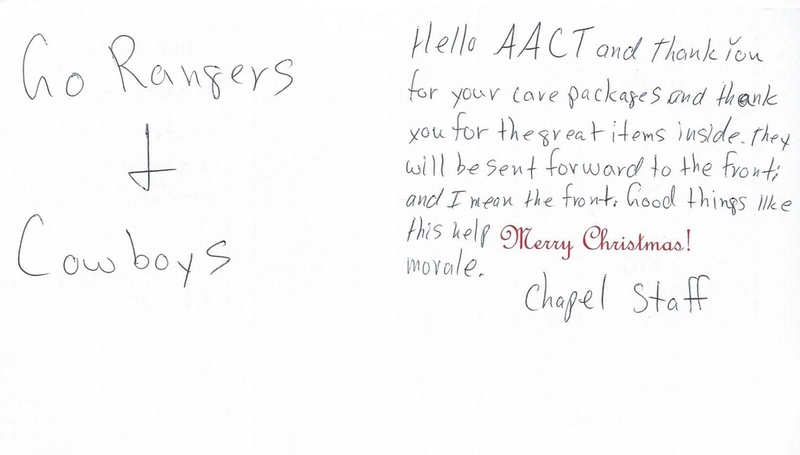 Here are two thank you cards we received from two units that received care packages we sent out before Christmas. 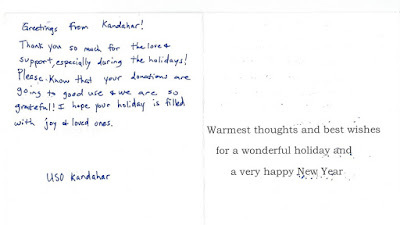 We ship between 25-50 boxes to a unit and they distribute as needed - in this case to the front lines. It looks like the sender of the top card must have some Texas ties!